Spread the word! 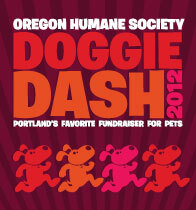 CVM is joining other Beaver Believers at the 2012 Doggie Dash for the Oregon Humane Society on Saturday, May 12 at Waterfront Park in Portland. OSU will have a big tent full of fun for you and your furry friends. The College of Veterinary Medicine will set up ‘You Be the Surgeon’, an interactive endoscopic surgery demo, CVM students will answer pet care questions, and OSU Marketing will be creating souvenir paw prints for all our visitors. OSU Bookstore will have lots of Beaver gear so you and your dog can dress up to compete in the OSU Photo Contest! 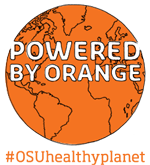 This year OSU alumni will receive a $5 discount on registration for the fun run if they use promo code oregonstate2012. For more info about Doggie Dash activities and instructions on how to register for the fun run/walk, visit the Doggie Dash website.